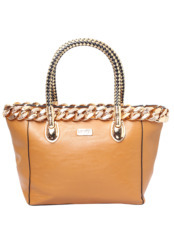 The perfect accessory to match your everyday garments, this elegant tote is a wonderful addition to your wardrobe. Style with confidence thanks to this fabulous bag, made with choice materials and a design that letâ€™s celebrate your chic state of mind. Great for casual and urban chic affairs.